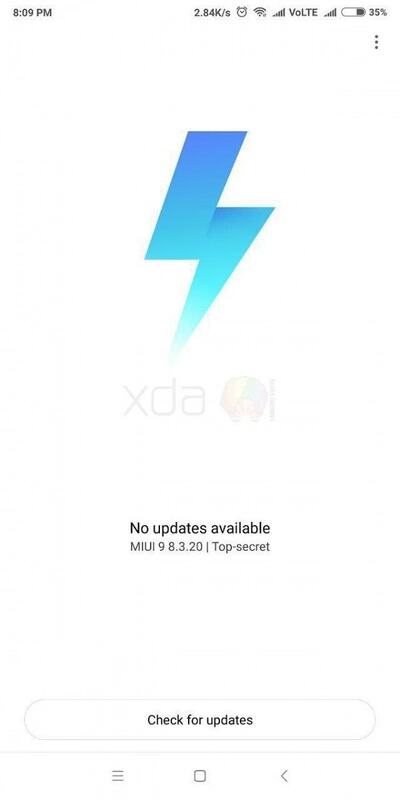 Good news for Xiaomi Redmi Note 5 Pro users, latest MIUI 9 is ready for download. It is the Beta ROM for Redmi Note 5 Pro and yesterday leaked in FunkyHuawei.club. 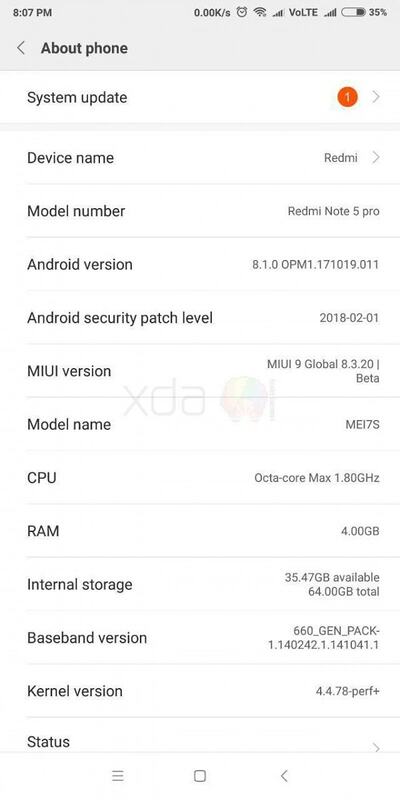 Today we share Android 8.1 Global Beta MIUI 9 OREO On Redmi Note 5 Pro. MIUI 9 brings latest Android 8.1 OREO. Some beta test users already got the update from OTA. Remaining users will get the update soon. If you didn’t get the update and you too much excited for MiUI 9 update then follow the steps and update the process easily. You can use this Global beta Android 8.1 on Redmi Note 5 Pro Indian variant. Someday ago Android 8.1 China Beta MIUI 9 available for Redmi Note 5 Pro, This china ROM can be flashed in other variant device but some of the bugs in the ROM. Now you can easily install Android 8.1 On Redmi Note 5 Pro with MiUI 9. 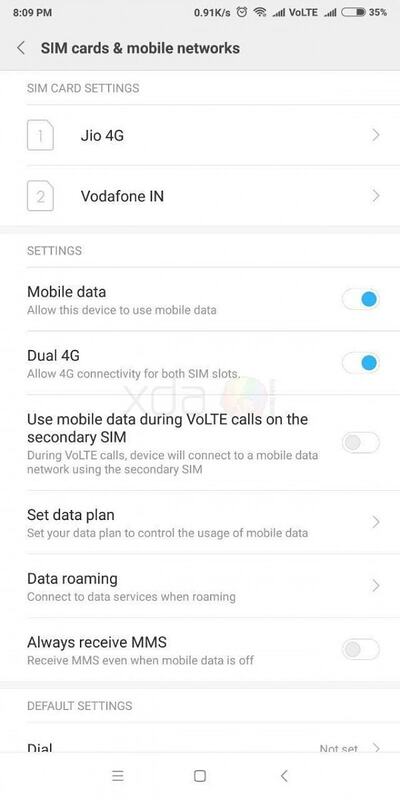 Now you can use Android 8.1 with VoLTE on Redmi Note 5 Pro. MIUI 9 update brings a smart assistant, new themes, Image Search, Smart App Launcher, and performance improvements. More new themes you saw there. 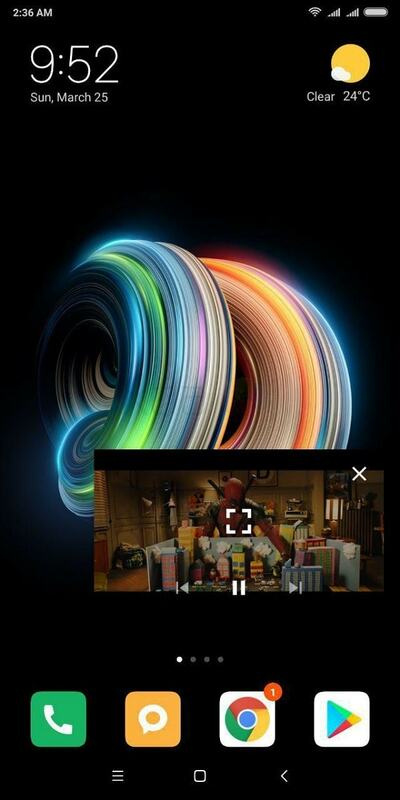 Also, they have a polished overall user interface and give closer to stock Android look. Download Android 8.1 OREO for Redmi Note 5 Pro and keep update your device with the latest update. Much more features are added if you know then use it. Install MIUI 9 OREO On Redmi Note 5 Pro and get All OREO features in it. 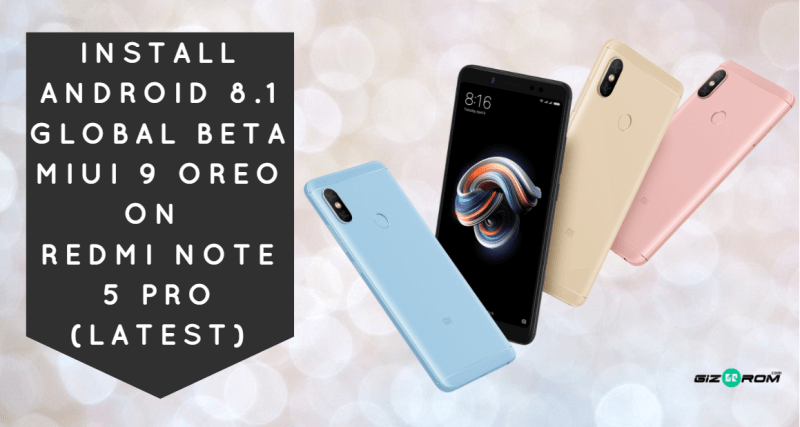 Just follow this post and install this Android 8.1 Global Beta MIUI 9 OREO On Redmi Note 5 Pro. 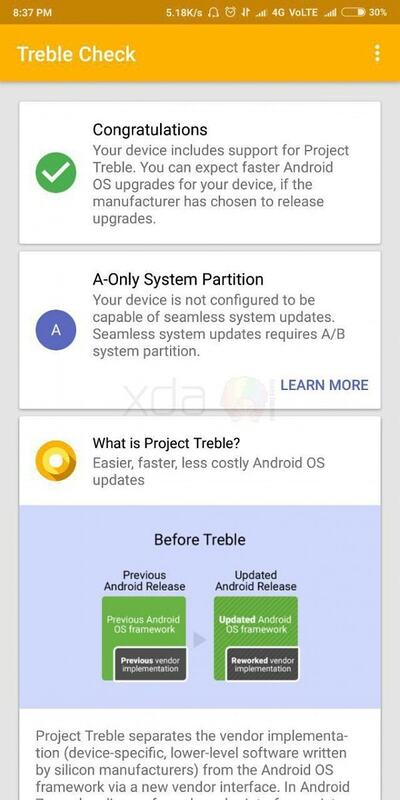 Many things should have been fixed in this build, you can use it for daily usage.If you are a Redmi Note 5 Pro user you must install because it’s the official ROM and it is a leaked Global Beta Android 8.1 Oreo update. In order to flash MiUI 9 need to install latest TWRP recovery in Redmi Note 5 Pro. So let’s go to the instruction. 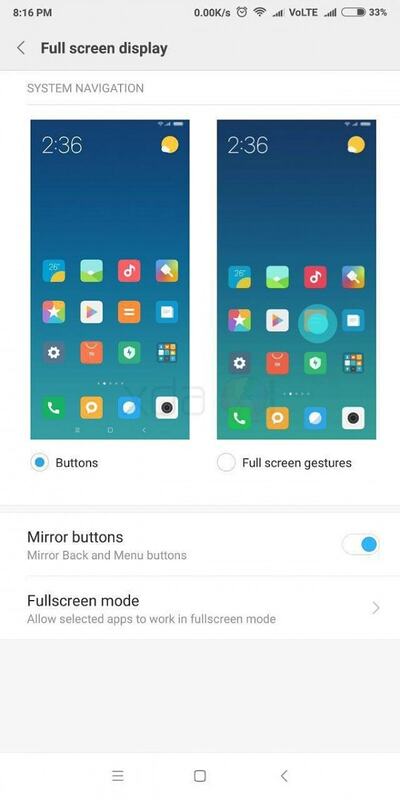 Download MiUI 9 ROM from below. If you want to install Android 8.1 for Redmi Note 5 Pro download from below and install on your Xiaomi Redmi Note 5 Pro. Download “ miui_HMNote5HMNote5ProGlobal_8.1.zip ” copy it to external memory. Then navigate to the miui_HMNote5HMNote5ProGlobal_8.1.zip file, which you downloaded before. Now Swipe to install the ROM.